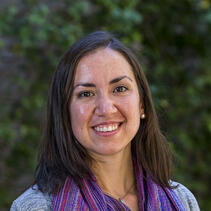 Stephanie Steele serves San Diego Zoo Global as a Postdoctoral Associate in Plant Conservation. In this capacity, she brings her experience in plant ecology and genomics to conduct conservation genetics research for rare plant species in San Diego County and the surrounding area. She also builds partnerships with academic institutions, government agencies, and other conservation groups to further advance the preservation of these species. She is especially interested in exploring functional genetic variation that may help plants adapt to their environment, as a means of guiding conservation efforts. Stephanie will be implementing conservation genetics research on Torrey pines, a rare pine occurring in San Diego County and Santa Rosa Island, currently under threat by bark beetles in a drying climate. Current plans include using next generation sequencing tools to assess genome-wide and functional variation in in situ and ex situ populations. She will also evaluate genetic diversity for other rare species in the county, including herbaceous plants and succulents identified as a conservation priority. Finally, she is collaborating with the San Diego Natural History Museum and the Center for Plant Conservation to explore the links between distributions, ecology, and genetic structure of cross-border plant species - those rare plants that have populations in San Diego County and Baja California, Mexico. Understanding the distribution of genetic variation in these species can help guide seed banking, translocation efforts, and protection plans. Stephanie earned her bachelor’s degree in Biology at Georgetown University and her Ph.D. in Biology at the University of California, Los Angeles. Her dissertation research used ecological and genomic tools to investigate varying levels of plant response (spatial escape, evolutionary change, gene expression plasticity) to selective pressures in tropical and temperate ecosystems. Before entering her graduate program, Stephanie worked as a research technician at the core sequencing facility at the University of Arizona. In her free time, Stephanie enjoys hiking in southern California with her dogs.